Output torque 620 in. lbs. Diameter 1.8 in. ; length 0.47 in. Capable of running cool (at touch temperature) while delivering more than 200 in-lbs of torque. Electronic board, internal wiring and construction designed to meet the highest level of EMI standards. Provides system performance feedback to a computer. Negligible field returns confirm the unit's high reliability. 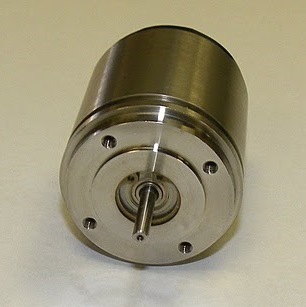 Length 3.5in;, weight 23oz., diameter 2in., speed 14,000rpm. 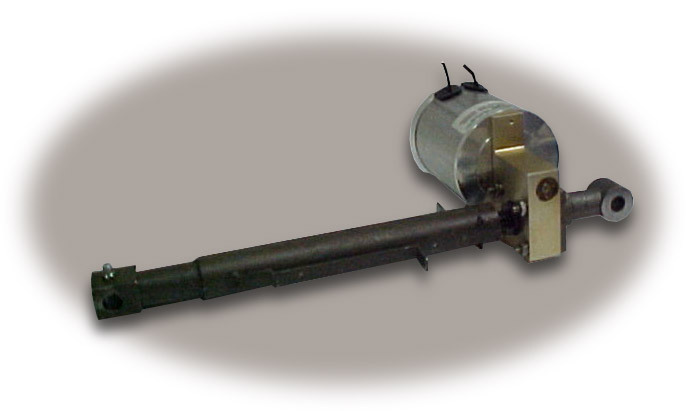 Limited Rotary Actuator for Underwater Vehicles BLDC Motor, gearhead, electro-mechanical brake, limited stop and electronic drive system; high-reliability - can be designed for military and commercial applications. Unit weight 36lbs. ; diameter 5.5in. ; length 16.5in. Frameless Motor Frameless BLDC motor moves fins on a military missile. Outside diameter 0.84in. ; length 1.25in. Diameter 1.5” maximum, 6” long. Output shaft 3/8” diameter from gearhead. At 1500rpm, spur gearhead/motor puts out 7 in./lbs. continuous torque with 2 amperes maximum current. Efficiency 70% minimum. Corrosion-resistant stainless steel materials utilized; unit operates while immersed in hydraulic fluid. Operating temperatures 160C; integral high-temperature synchro used for commutation, which operates at 5V and 5000Hz square wave. The unit withstands 20Gs(50-500Hz) vibration and 100Gs shock. Flight-Control Actuator Bldcm, planetary gearhead(450:1 ratio), fail-safe brake, SS side-connector for EMI shielding & wire integrity & protection, electronics; Inbuilt custom glass-encapsulated temp. sensor; 40in.-lbs. rated torque; size 1.25”x 3.5”; 0.75lb. wt. 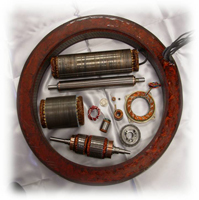 High-Performance Induction Motor Used in aerial firefighting applications. Size ranges from 0.437in. to 18.0in.